Last week, a boarding team from HMAS Warramunga seized 414 kilograms of heroin valued at $124 million being smuggled on a dhow in the Indian Ocean. This latest haul brings the total value of drugs intercepted by the ship to over $1 billion since it began operations in November. 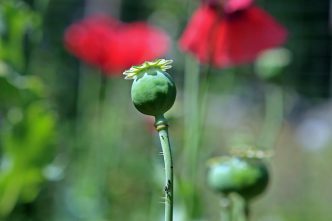 The Warramunga is spearheading Australia’s contribution to disrupting the flow of narcotics in the Middle East region as part of Combined Task Force 150. China may have become the first country to install a railgun on a warship. Photos have emerged showing what appears to be a railgun mounted on the Chinese landing ship Haiyang Shan. The futuristic weapon system replaces gunpowder by using a strong electromagnetic field to fire a projectile. The US Navy has been testing a railgun on land for years but has yet to mount it on a ship. The Royal Navy’s smallest commissioned vessel has retired after 35 years of service. The 15-meter survey motor launch HMS Gleaner cruised into its home port of Plymouth for the final time last Tuesday. During its illustrious career, the Gleaner earned the distinction of being one of the few Royal Navy vessels to travel up the Rhine and visit landlocked Switzerland. Photos and video of the wreckage of a Russian Su-25 Frogfoot ground-attack jet emerged from Idlib province, Syria, over the weekend. It’s unclear who brought down the plane, but initial reports suggest that it was hit by a shoulder-fired heat-seeking missile. Footage shows the pilot parachuting out of the plane but, according to The Aviationist, he was then engaged by ground forces and killed. This is the first time Syrian rebel forces have managed to shoot down a Russian fighter jet, suggesting that the conflict is getting deadlier for the Russian side. Australia’s Department of Defence has confirmed that the Townsville-based 38 Squadron will be consolidated with 32 Squadron at the RAAF base in East Sale, Victoria. Townsville’s fleet of eight Beechcraft King Airs was established after the Caribou was withdrawn in 2009. The planes have a flexible light transport capability and have supported defence operations on the Pacific Islands and East Timor. With the ongoing introduction of the newer C-27J Spartans, the air force will review the leasing arrangements for the 16 King Airs. A passenger on US airline United has had her feathers ruffled by the company’s refusal to carry her emotional support peacock. 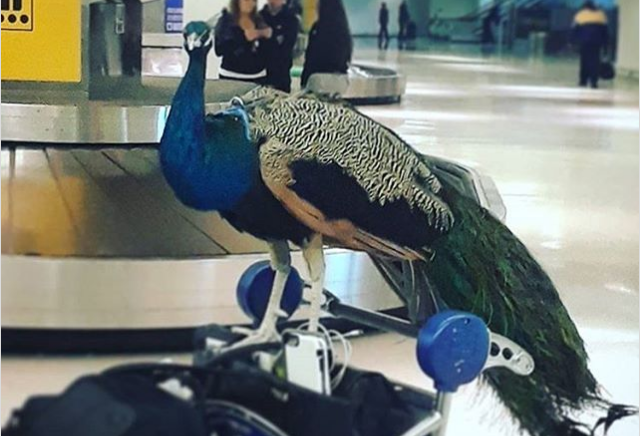 Though she offered to pay for an extra seat, the airline said that the peacock didn’t meet its guidelines for support animals. Turkey has suffered its greatest loss since pushing into Afrin in northern Syria two weeks ago. At least seven Turkish soldiers were killed, including five who died in a single attack on a tank. 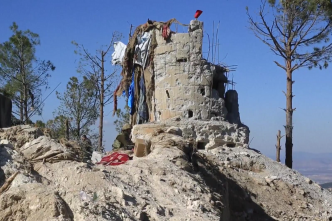 The recent clashes bring the total number of Turkish casualties to 14 in the ongoing offensive to clear out the People’s Protection Units (YPG) along the Turkish border. US troops also risk being caught in the crossfire as Turkey takes aim at Manbij, raising the spectre of hostility between the two NATO allies. NATO alliances are also causing a stir in Eastern Europe. Last week, NATO representatives met in Chisinau to advise on the development and implementation of the Moldovan government’s military action plan. Moldova’s pro-Russian president Igor Dodon criticised the exchange, claiming that Moldova should be militarily neutral, as ‘NATO means war’. The delegation converged just after Russian troops finished a military exercise in the separatist region of Transnistria. Closer to home, international relations are a bit friendlier. Australia and Indonesia signed a new defence cooperation agreement during the inaugural Sub-Regional Defence Ministers’ Meeting on Counter-Terrorism in Perth. The forum brings together ministers from Australia, Brunei, Malaysia, the Philippines, Singapore, Thailand and Indonesia to address maritime security threats and terrorism in Southeast Asia. The latest US nuclear posture review says that America needs more options to deter a Russian or Chinese nuclear or non-nuclear attack. 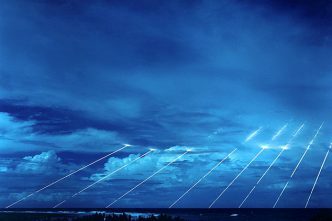 The review reveals US plans to work on life extension programs for some of its nuclear warheads. The review claims that Russia perceives the US and NATO as an ‘impediment to realizing its destabilizing geopolitical goals in Eurasia’ and describes China’s ‘pursuit of regional dominance’ as a challenge to US interests in Asia. Space technology company Skyrora will be testing its suborbital launch vehicle Sykrora I later this year. It’s a truly international effort, as the UK-based company has its research and development hub in Ukraine and the planned launch will be from Scotland. North Korea has allegedly been buying equipment and technology for its ballistic-missile program through its Berlin embassy. The head of Germany’s domestic intelligence agency, Hans-Georg Maassen, told a German public broadcaster about the discovery. ‘We determined that procurement activities were taking place there, from our perspective with an eye on the missile program, as well as the nuclear program to some extent’, he said. Last week, the ADF announced the establishment of a joint Defence Signals Intelligence and Cyber Command unit. The unit will oversee closer collaboration between civilian teams at the Australian Signals Directorate and the ADF. It also aims to support rapid growth of Australia’s military cyber workforce, which Professor Greg Austin from the Australian Centre for Cyber Security says is necessary to realise the defence export strategy launched by PM Malcolm Turnbull last week. Last Wednesday, Cisco released a security update for its Adaptive Security Appliance software, a firewall and network security platform. 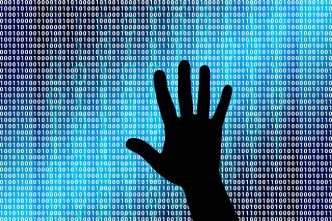 The update patches a critical vulnerability in the software that allowed attackers to remotely execute code and gain complete control of an affected system. Cisco is the top provider of security appliances worldwide. Chinese nuclear submarines could soon be equipped with AI technology. Chinese researchers are planning to replace human-operated decision systems with an AI assistant. The machine would be able to process large quantities of data, send and receive signals and potentially suggest strategic moves to the captain. Christopher Dixon, Jessica Clarence, Amelia Meurant-Tompkinson and Melissa Liberatore are research interns at ASPI. Image: Instagram user dexterthepeacock.